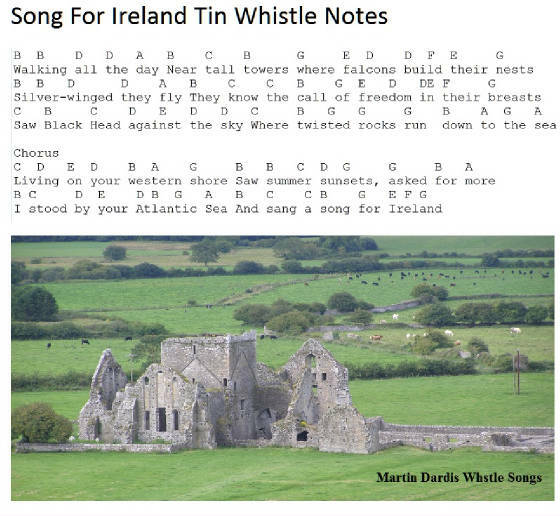 A Song For Ireland Tin Whistle Letter Notes. Played on a D whistle. Recorded by The Dubliners first with Luke Kelly doing the singing and John Sheehan on the whistle. I have made this one as easy as I could. Watch for the high ''D'' notes as I have not marked which are high and which are low.